A napkin. The driver simply reached to retrieve a napkin. That seemingly innocuous action led to the death of 19-year-old Shreya Dixit, who was on her way home from the University of Wisconsin-Madison to celebrate Diwali, an important Hindu festival, with her Eden Prairie family. Shreya was a passenger in the car of that distracted driver. According to witnesses, the car swerved and ran up onto a grassy meridian before it smashed into a culvert and hit a pylon. Shreya was the lone casualty. 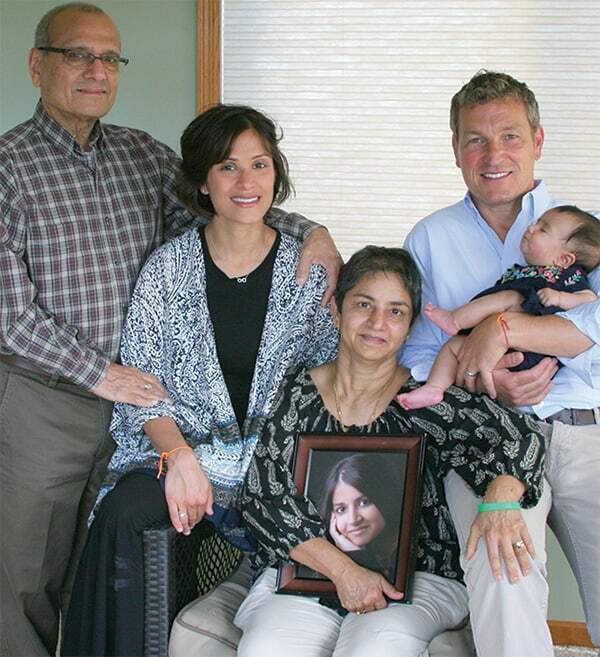 Since Shreya’s death on November 1, 2007, her family has found ways to keep her spirit alive while attempting to save the lives of other drivers and passengers. Her father, Vijay Dixit, regularly speaks at AAA Minneapolis, area high schools and driver education programs about the risks of and solutions for distracted driving. Under the auspices of the Shreya R. Dixit Memorial Foundation, Dixit developed safe driving clubs at Eden Prairie and Edina high schools. Dixit hopes the program will expand throughout the state and country. With co-author Antonia Feliz, Dixit also wrote One Split Second: The Distracted Driving Epidemic—How It Kills and How We Can Fix It (Wisdom Editions, 2016). 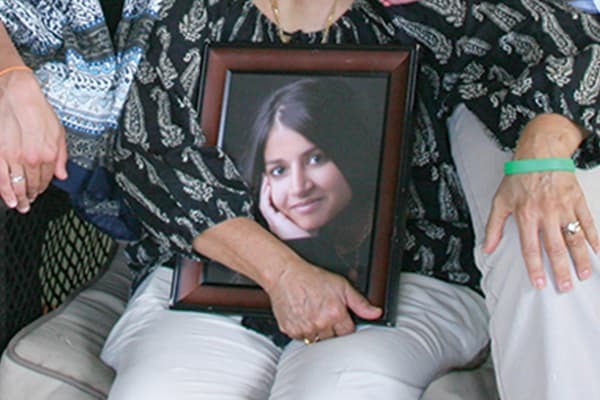 As the anniversary of Shreya’s death approaches next month, Dixit says the family will visit Purgatory Creek Recreation Area and the University of Minnesota Landscape Arboretum, where benches are located in Shreya’s memory. These last nine years have tempered some, but not all, of Dixit’s emotions. “I’m able to forgive the person who killed my daughter,” Dixit says; however, feelings of grief and loss continue. “The glow of the heat of that fire remains,” he says. 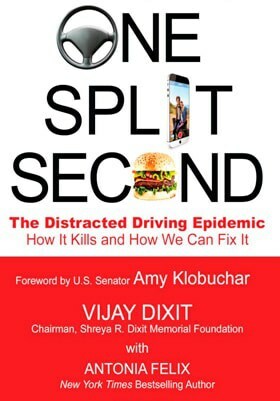 One Split Second: The Distracted Driving Epidemic—How It Kills and How We Can Fix It by Vijay Dixit with Antonia Felix (foreward by U.S. Sen. Amy Klobuchar, who Dixit says has been a “very supportive hand” in highlighting the issue) is available at amazon.com ($14.99 paperback/$3.99 Kindle). More info here.